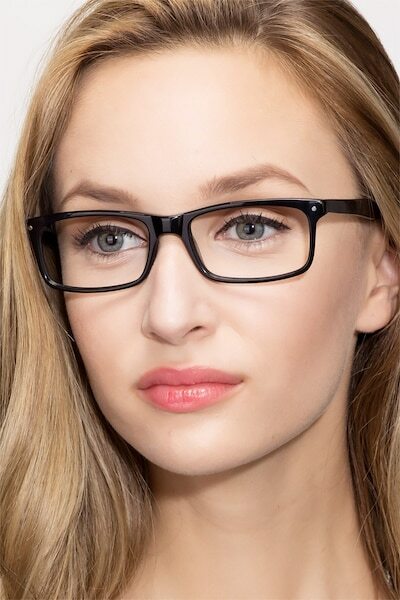 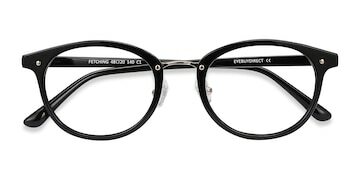 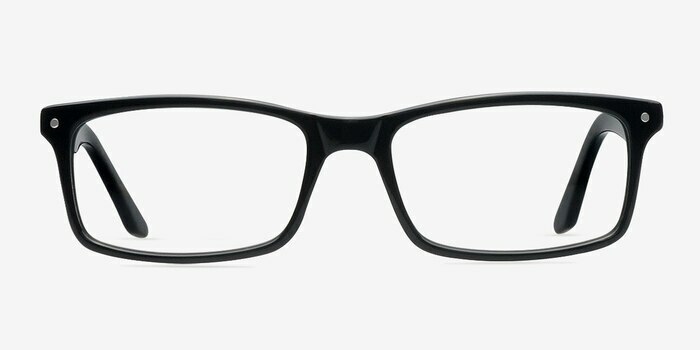 These black eyeglasses are intelligent and assertive. 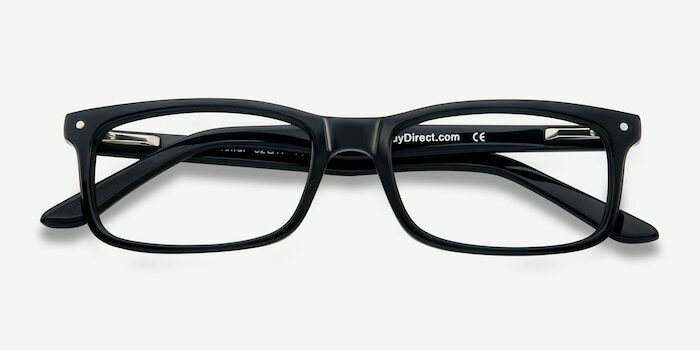 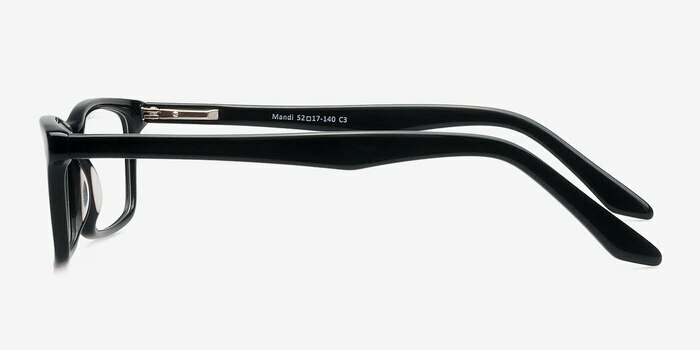 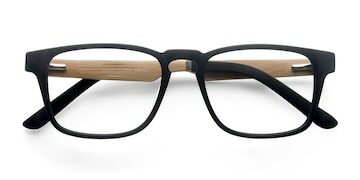 This universally flattering rectangular shaped frame comes with a glossy black acetate finish. 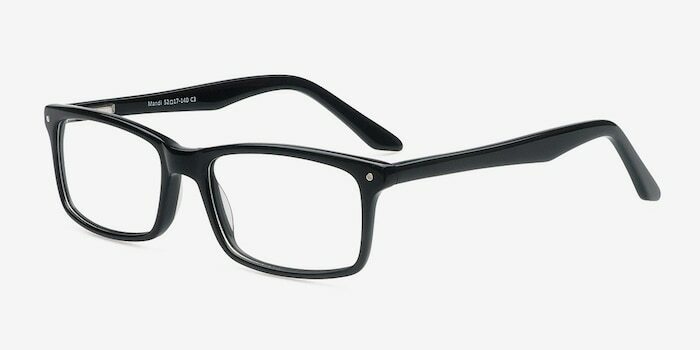 Single silver stud accents in the corners complete the look. 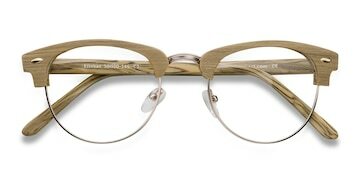 The temples are boldly shaped and feature flexible spring hinges.